Adding a little "liquid gold" sweetened condensed milk to buttercream makes it feel extra special. It add that little bit of rich depth of flavor you can't get anywhere else! Our favorite local bakery has the most delicious treats. It is one of those where with every bite you wonder what it is that sets it apart and why when you try to recreate it at home it is always just missing that little something. I like that it has that little special something. I like the mystery. MiMi can't handle a mystery. She has to know! She has tried everything. She ordered different flavorings and baking emulsions trying to get just the right combination. They were good, but not quite the same! So after pestering asking very nicely (I'm sure!) a former employee. She thinks she has finally put her finger on what sets their frosting apart. Sweetened condensed milk. Genius, isn't it?! The liquid gold we use to give baked goods that little extra richness. The thick delicious can of wonder. How come I never tried it in a frosting before? You know I love playing with frosting. So it is hard to believe that thought had never crossed my mind. So I went to work to make a sweetened condensed milk buttercream. 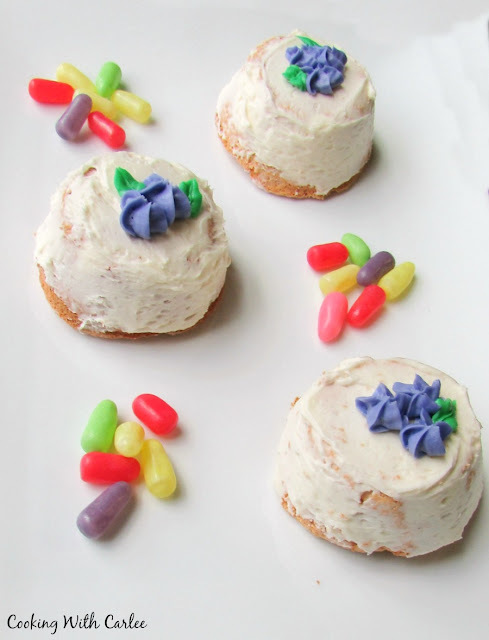 One of their most famous treats are their upside down angel food cupcakes that are iced, airy and perfect. So I had to make a batch of similar and smear them with this frosting as well! It may not be exactly like theirs, but it doesn't matter (to me anyway, we'll see what MiMi has to say when she tries it!) It is darn good! The sweetened condensed milk makes for a really silky smooth finish and gives that little extra rich flavor. It also takes the edge off the powdered sugar flavor that buttercream frosting can sometimes get. This version isn't too super sweet, but it is plenty sweet. A batch generously frosts a standard cake and is plenty for a nice big mound on a dozen cupcakes. This frosting pipes really well. Just adjust the final consistency to your liking with a bit more powdered sugar or sweetened condensed milk as needed. This frosting also forms a light crust, making it easier to transport cakes and cupcakes as well. It takes color great! I prefer to use gel coloring, but any food coloring will do. You can play with the flavors! Try adding a bit of almond or lemon if you'd like something a bit different. 1. Cream butter together until smooth and light.2. Add flavorings and 3 T sweetened condensed milk, beating until smooth.3. Add powdered sugar, a cup at a time mixing until completely incorporated after each addition.4. Turn mixer to high and beat for a couple of minutes, until light and fluffy.5. Add a little more powdered sugar or sweetened condensed milk if necessary to get your desired consistency.6. Use immediately or store in the refrigerator. Oh my gosh... I so want to try this!! I love trying new frostings! Different techniques and different flavors are all so fun in frosting. This one was particularly creamy and delicious! I love playing with frosting. It is so forgiving and there are so many fun options. You'll have to let me know what you think if you try it! 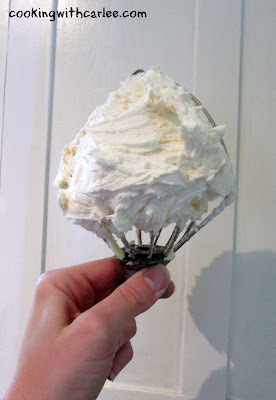 Have never heard of making frosting like this but I bet it is fab! Found you via The Wednesday Showcase linkup. Thank you! It is a great way to give frosting that little something extra! What a great idea! I've had a can of sweetened condensed milk in the fridge I need to use up, this is perfect. It is a great way to add that little bit of something extra. Thanks, Ali! Can you add food coloring and if so when do you add it? Yes, you certainly can! I usually beat my frosting until it is completely incorporated and then add coloring, that way you can get a true representation of what the final color will be. Hi Carlee, this recipe does sound interesting and I love the way you were determined to recreate a taste and texture at home. I do enjoy the taste of condensed milk and will be trying this recipe sometime in the future, it's not long before the birthdays start happening! I just made this frosting, but I substituted Carnation Caramel flavored sweetened condensed milk. This is the most decadent frosting I have ever tasted. I used it to frost a french vanilla cake with chocolate ganache filling. Thanks so much for the idea!! That sounds aaaaaaamazing! Now I want to try it that way. And that cake sounds killer too. You're making me hungry! 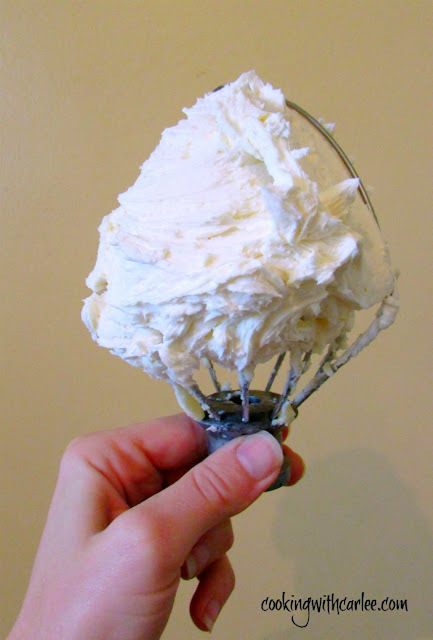 I just made this frosting, but I substituted Carnation Caramel flavored sweetened condensed milk. This is the most decadent frosting I have ever had. I used it to frost a french vanilla cake with chocolate ganache filling. Thanks for the idea!! That sounds absolutely amazing! I wish I could steal a bite! Would this frosting work if I'm covering the cake with fondant? Thanks! I can't see why not. It would be a great base layer! Will this frosting work for a cake that I'm covering in fondant? Thanks ! I can't see why not! I think it will be a delicious base for fondant! What a great idea! I'm glad you are liking it! It does. Just adjust your consistency the same way you would a standard buttercream and it should hold its shape nicely. This sounds so delicious! Does it crust and hold its shape for piping flowers and borders? Just wondering whether it's suitable for decorating. If you have a favorite coffee creamer, adding it to this awesome recipe for flavoring tastes amazing! That would be a perfect way to switch it up! It would hold up about like a traditional buttercream. It would probably be fine for a little while, but the butter is going to soften after a while. You could try subbing in half shortening and add a bit extra powdered sugar to help it crust and hold up longer. I hope it works out for you! I'll be curious to hear how it goes! I tried this last night and it was perfect, but i may have had one glass too many because i thought it said 1/4 cup of CM...but in any case it came out superb!!! Yay! I am so glad you liked it. You didn't have too many, I changed the scale of the recipe this morning! ;-) I realized I made it to do some cupcakes and a cake and the recipe as I had it made a LOT of frosting. So made it a more reasonable size for a cake. It's the same recipe, just smaller! You can just double it if you'd like! It scales really nicely. I hope you enjoy it! It is enough to frost a standard 9" 2 layer cake. If you want extra frosting to pipe borders or if you cake is larger than that, I would consider doubling it. Hi, I'm having a birthday soon and was wondering how many cups of frosting the recipe makes. I don't like to make cupcakes for birthdays so I always make cake and the frosting at the stores have been getting gross recently. This recipe sounds good but will the frosting be enough to cover a round cake? Do you think I should double the recipe? This should make plenty for a standard layer cake. If you want to pipe on decorations or like a really generous amount of frosting, you may want to scale it up a bit, otherwise you should be fine! Happy birthday and I hope you love it! Does it crust up like regular buttercream froating? It does make a soft crust like buttercream. Usually if I want my buttercream to form a better crust I sub a bit of shortening for the butter and add a little bit more powdered sugar. But as written it will hold its shape nicely and form a soft crust. How does this work for decorating icing? Is it stiff enough to hold up? Recipe looks delicious! I could almost eat condensed milk right out of the can. LOL! Bonnie, I recently made another batch and piped it onto cupcakes. I did add an extra Tablespoon or two of powdered sugar and piped it onto cupcakes. It piped beautifully and formed a nice soft crust for transport. I can't wait to make more! I just made a chocolate frosting using sweetened condensed milk because I ran out of regular milk. OMG!! Best Frosting EVER!!! Hoooooray! Isn't it so good? I made this recipe using dulce la leche instead of sweetened condensed milk. I used Penzey's Double Stregnth Vanilla extract. Since dulce la leche is not as liquid as sweetended condensed milk, I used about 1/3 cup. My frosting had a wonderful caramel flavor. A perfect finish for chocolate cake! Oooooh, that sounds wonderful! Now I want to try it that way as well! It is relatively sweet. It's a lot like an American buttercream. If they are normally too sweet you may prefer a meringue based buttercream. My maple buttercream or the frosting on my devil's food cake may be a better fit. Can I frost my cake with this frosting the night before? Then do I just refrigerate the frosted cake and then set it out on the counter prior to the party starting? That's exactly what I'd do! Enjoy! Im going to try this but can I ask how the shelf life compares to standard buttercream and can you freeze it? It has a similar shelf life to buttercream that has been made with butter. As long as it stays in a cool place it holds well. I have not tried freezing it, but I can't imagine it would be much different than freezing standard buttercream if you have good luck with that, I think it would be fine! Does this freeze well for later use? I have not tried freezing it, but I would imagine it would behave very similarly to a traditional American style buttercream. Does this have the nice light whipped frosting texture? 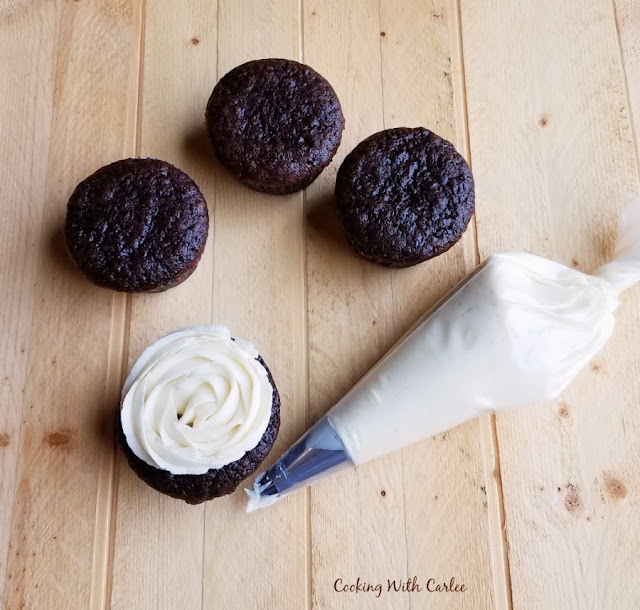 Ive been searching and experimenting but I’m having problems finding a nice whipped frosting recipe that works for piping and isn’t a whipped cream. It is a very similar texture to American buttercream. Have you tried ermine frosting? It's a cooked frosting that is very fluffy. I have not tried piping with it though it seems like it should work as long as you aren't looking for really fine details. 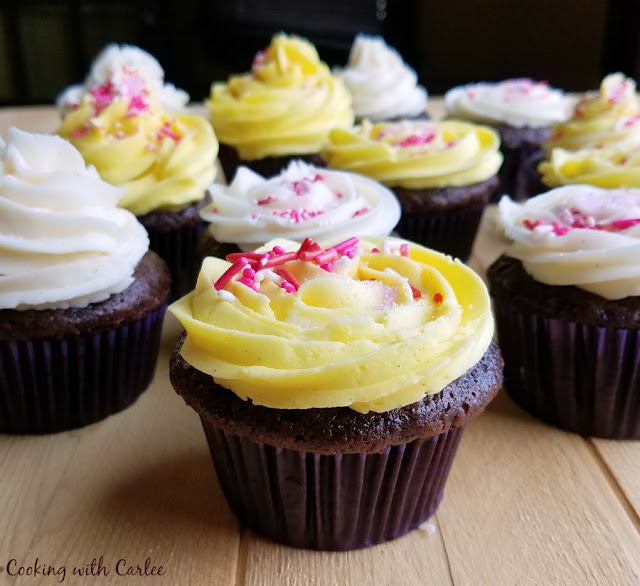 Could you use the SCM in a Swiss Meringue Buttercream Frosting? I love the idea of it in buttercream but don't care for American Buttercream to well. Have to try the ermine frosting also sounds delicious. 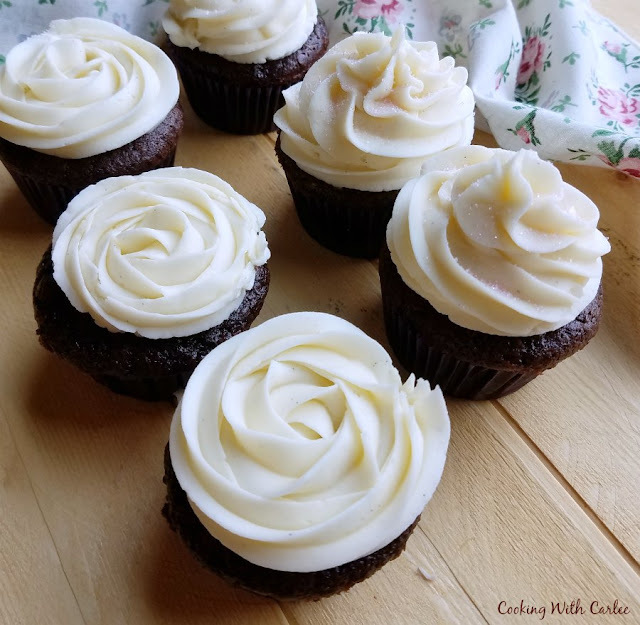 Thank you for the post love new buttercream recipes. I am not sure that would work because adding liquid where it wouldn't normally be might not be great. I do have a recipe I can't wait to try that is kind of a hybrid though. Stay tuned and we'll give it a go soon!